Key West’s biggest and best festival is around the corner with a new lineup of events, parties, marches and parades. Welcome to Fantasy Fest Key West: Time Travel Unravels, October 20 - 29, 2017. Some of the best events just happen to be at the very beginning of the festival! Goombay is not new but definitely one of the best kept secrets of Fantasy Fest. All the locals come out for this to mix, mingle and reconnect with friends they haven’t seen in a while. It’s a two-day event and street party showcasing the island arts and crafts, music and food in the heart of Key West’s historic Bahama Village . The festival’s main entertainment stage is located at the corner of Petronia and Fort Street and features nonstop musical entertainment ranging from gospel to reggae. This family friendly street party continues on Saturday! Noon to midnight; FREE. Local Favorite! Family Friendly! Rise from the dead and join your newly awakened zombies as they gather at Zombieland in Fort East Martello at 2 PM to get their blood flowing, bodies painted, and mid-afternoon snack from 2-6 PM. 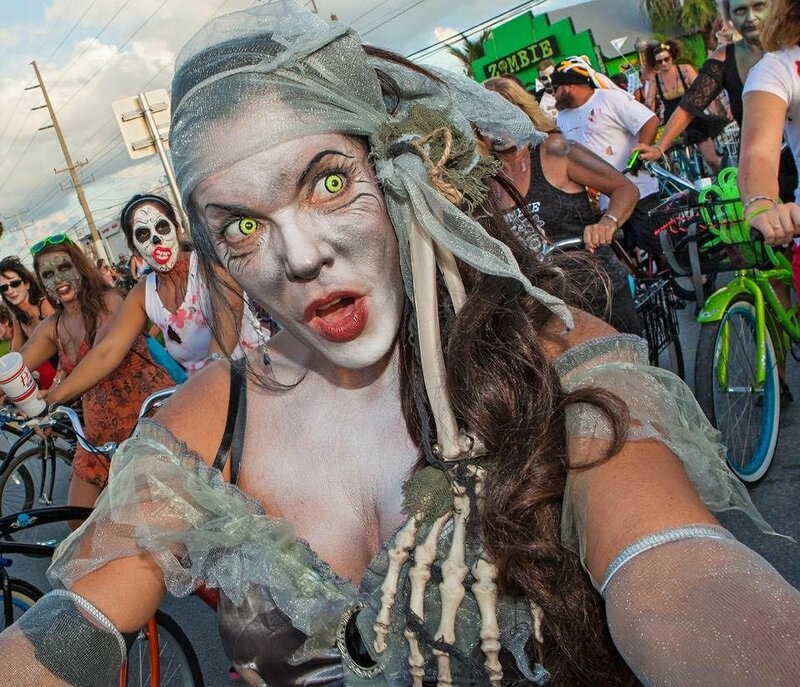 Hop on your bike and join the thousands of costumed zombies at 6 PM when the zombie invasion heads down US1 to Duval Street for the Zombie Fest in Downtown Key West. Local Favorite! Family Friendly! This years festival is extra special and it’s not because of Irma. There is a new festival director, Nadene Grossman, who has created new energy and ideas along with a lineup of new events along with the old favorites. Visit the Fantasy Fest Website as new events and information are updated daily. 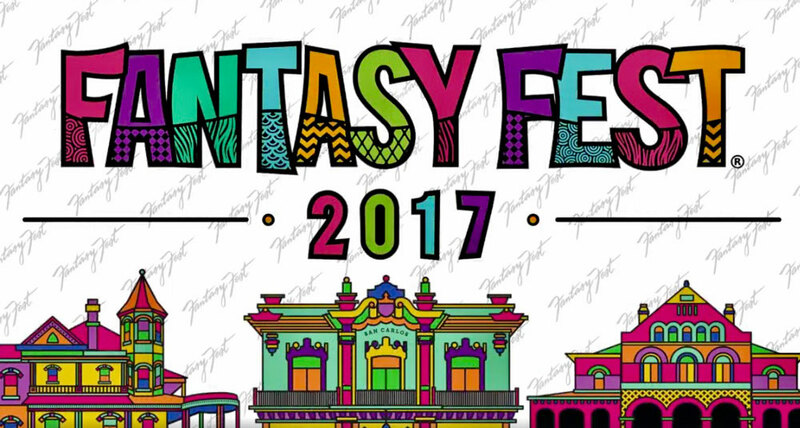 View the Fantasy Fest Schedule of Events. The Marker Waterfront Resort Welcomes Back Patrick & The Swayzees! They’re back! 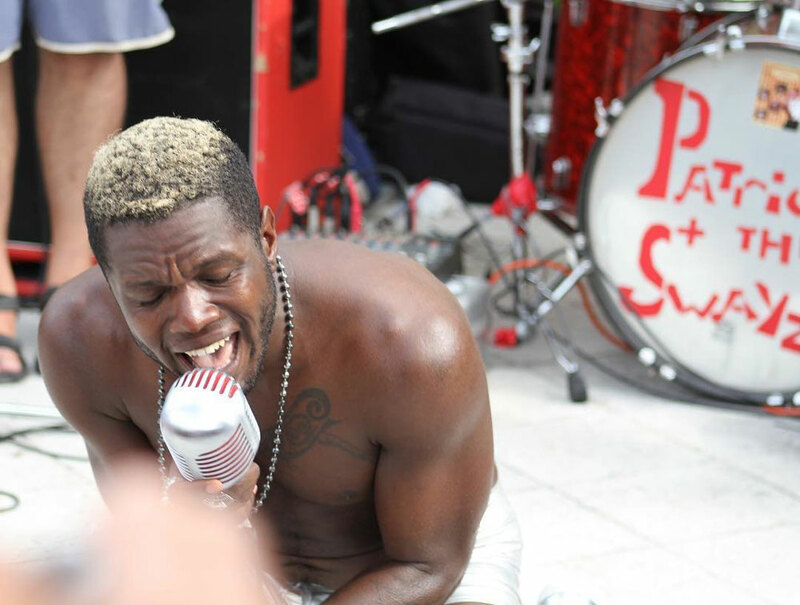 Join Patrick and the Swayzees to recuperate poolside at the Marker Waterfront Resort from 1pm - 4pm. Food and drink specials all day long by Chef Jeff at Cero Bodega. Grab your towel, your best vintage bathing suit, and get your groove on and share your photos with us #lovethemarker. We look forward to welcoming you to Key West for Fantasy Fest: Time Travel Unravels. Get ready for 10days filled with costuming, parades, libations, and excitement! It’s not too late to book your Fantasy Fest vacation. Call us to learn more about rates and availability (855) 485-929.